This metal trough has an integral trellis panel fitted inside the back face to create an instant screen. 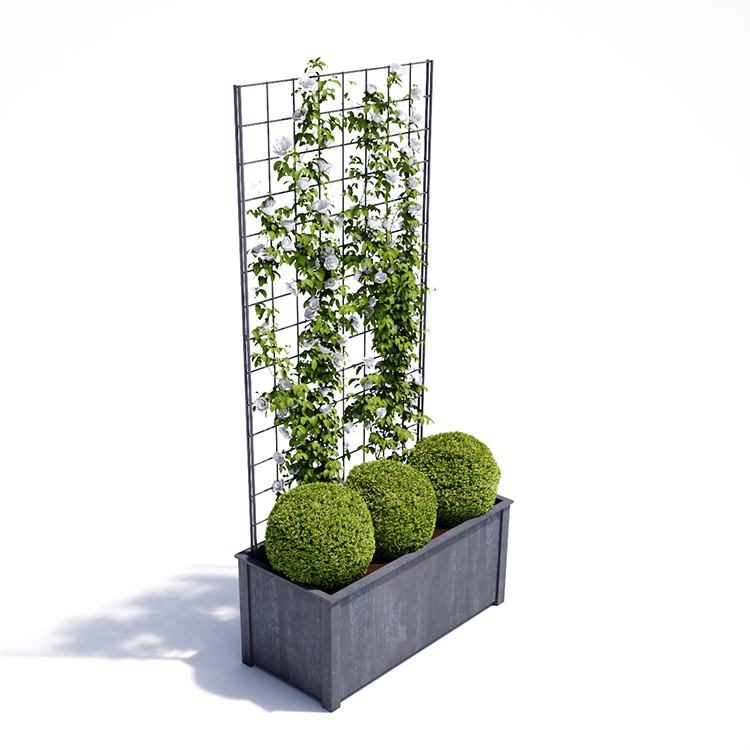 Ideal for climbing plants, any trellis panel design is available to order. The zinc galvanized finish provides a durable, rust-resistant finish. Made to measure available. This new range of troughs with integral trellis is the ideal solution for creating divisions or screens within a garden or on a terrace. The large steel trough has a raised base and drainage holes to avoid waterlogged plants. 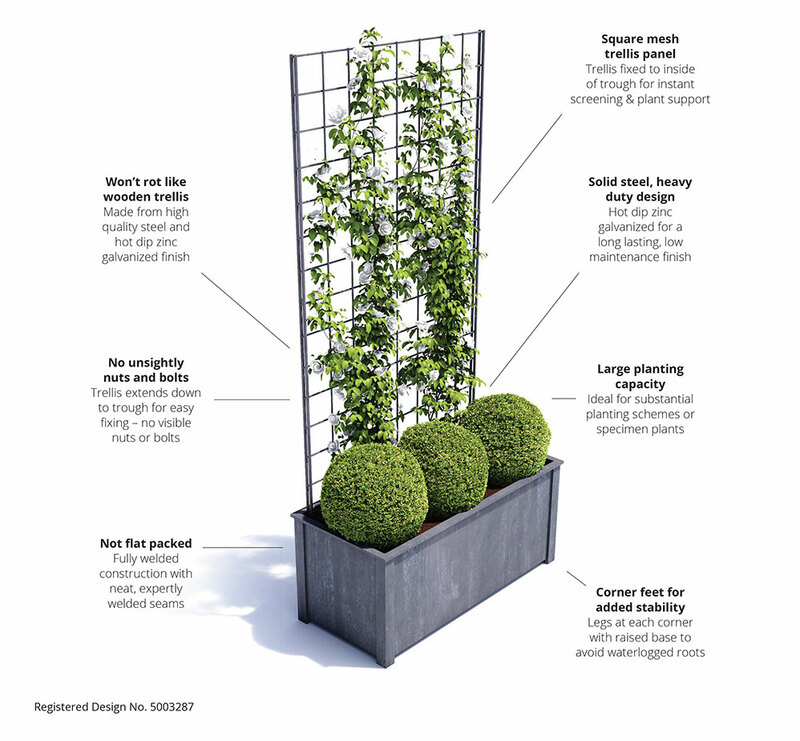 The steel is hot dip zinc galvanized to provide a rust-resistant finish and the heavy duty planter is fully welded to avoid any self-assembly.